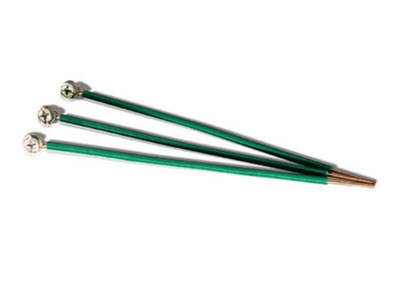 Solid copper green pigtails ground wire comes with attached screw. - 12 gauge solid copper. - Comes with 10-32 3/8" inch steel ground screw.